Hello Loves! 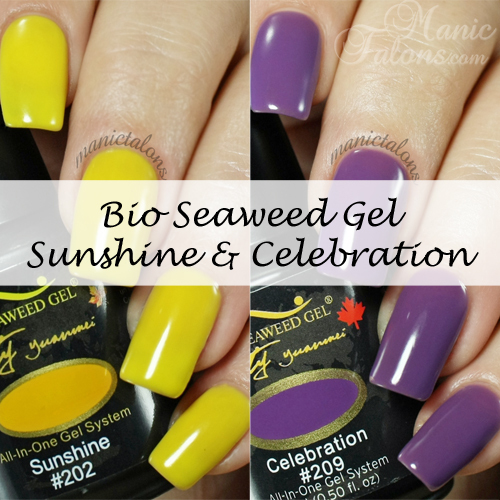 I have two fun Bio Seaweed Gel Swatches to show you today - Sunshine and Celebration from the BSG Unity Line. With names and shades like these, you know I had to do a little nail art to go along with it! I'll get to the art in a few minutes. BSG Unity Gel is a 5-free, one step gel polish that can be worn alone (no base, no top, no need to cleanse) or can be worn as a three step gel with base and top. Bio Seaweed Gel recommends using a separate base and top when applied to hands for lasting results, but pedicures are quick and easy with just two coats of color. It is LED compatible and currently comes in 114 colors with more shades being released seasonally. The Unity Gels retail at $18.00 each and can even cure in natural sunlight, no lamp required (I haven't tested the sunlight cure yet, but will do so over the next few weeks). Check out my full review of Unity Gel with and without a separate base here. Ready to see some swatches? Sunshine is a gorgeous, bright yellow cream. Application is smooth and I found this one self levels quite well. I did need three coats for full opacity. I did not use a separate top coat on the swatch below in order to show the shine when used as a one step gel. Celebration is a beautiful, medium purple cream. Like Sunshine, Celebration also self levels well and applies nicely. I could have gotten away with two coats for this one, but I felt that three were needed for optimal coverage. Again, this is without a separate top coat. When I think of "sunshine" and "celebration", I think warm and tropical. So I couldn't resist breaking out a few of my other Unity Gels for a little nail art. I may have ventured into Lisa Frank territory again with this design, but I do like how it turned out. What do you think? Did I hit my mark? For this mani, I started with a vertical gradient with Sunshine and Babe (swatched here). Babe is much more vibrant than it appears in these photos. Putting it beside Sunshine freaked my camera out. I guess it was a little too bright and cheerful for my camera sensor. I tried to get a shot that captured both Sunshine and Babe accurately, but as soon as Babe got within color range, Sunshine started to glow. lol I used my BSG Professional Gel Brush to create the gradient by dipping one corner in Sunshine and the other corner in Babe and blending them on the nail. Click here for a great tutorial on this method by Nails by Shannon. Be sure to follow Bio Seaweed Gel on Instagram and Facebook for weekly chances to win some Unity or 3-Step colors of your own! *The gel polishes featured in this post were provided by Bio Seaweed Gel for my honest review. I actually adore what you did here. Your flowers are just perfect. I wish I had that skill. Also love the colours together. OMG...this is stunning! 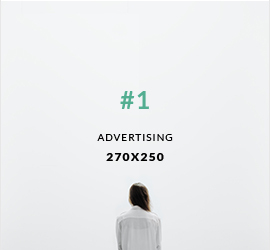 Love the colors used!